There is an assumption, held by many in the medical profession, that if you want help for alcoholism, your only hope is to attend Alcoholics Anonymous meetings and if you want to stop drinking for good, then AA has to become (and this is no exaggeration) your second home. Fortunately, this is just plain wrong. Firstly, Alcoholics Anonymous has an appalling success rate  and, secondly, there are many other ways to quit drinking without turning to the 12 steps. Unfortunately, the power to choose your preferred alcoholism treatment is seriously restricted. Restricted not because of a lack of alternatives to AA, but because information about other treatment options is lost in the noise of the 12 steps. It has been shown that alcoholics who have an active and informed choice  in their alcoholism treatment, are much more successful in their recovery. 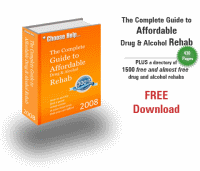 This site is an attempt to address this lack of choice by outlining all the options (and that includes the 12 step method) open to alcoholics and problem drinkers who wish to access alcoholism help. ... woman-focused support groups and treatment centers. Why are AA alternatives rarely heard of? Is it because they don't work? There are many reasons as to why the programs/drugs above are little-known, but it is mainly because AA and its 12-step method was the first systematic program to treat alcohol dependency; a condition that had proved resistant to much the medical world could throw at it. On top of this it seemed successful, there were many stories of how AA had turned individual's lives around. In reality, however, it is not that successful. Statistics are hard to come by due to the anonymity principle of the group. AA's own figures, however, show that only 5% still attend meetings after one year . This kind of success rate would be unacceptable in any other branch of medicine/therapy, yet AA seems to go from strength to strength. Another major issue with AA is that many feel alienated by the spiritual aspect of the program. It can be hard to balance the higher power, so important for recovery in AA with the secular world most live in. These 'unfortunates' as they are charitably called in the AA literature , are destined (according to AA and many working in the addiction field) to a life of depression, despondency and, ultimately, death. The only way out is AA. There are alternatives to AA, and good ones too. Many are statistically much more successful . Do not despair if you or a loved one is alcohol dependent. There is alcoholism help and it doesn't have to be Alcoholics Anonymous. Alcoholics Anonymous does work for some people and that must be acknowledged. One of its main strengths is its accessibility, there's a meeting in almost every town. 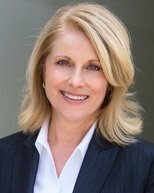 Another thing, AA got me sober, and for that I am grateful. But I moved on; it's not the long term solution for me and it doesn't have to be for you either. Discover and learn to identify the signs of alcoholism. Complete an alcoholism test to see if someone you care about is drinking at dangerous levels. Learn more about Alcoholics Anonymous and how it provides alcoholism help. 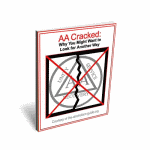 Read about AA Alternatives that do not adhere to the 12 step method. Identify the damage that alcoholic drinking can do to those close to you. Hear about alcoholism medication used in the treatment of alcohol dependence and new drugs that are being hailed as miracle cures for addictive drinking. To learn more a about the author of this website, read My Story. As always, if you have any questions or queries, do not hesitate to contact us.